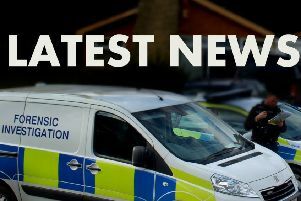 The Economic Crime Unit of Lincolnshire Police, supported by NHS, has been conducting a major investigation involving offences of fraud and money laundering in excess of £12 million. The investigation, named Operation Tarlac, began in September 2011 following a report of fraud involving Lincolnshire Partnership NHS Foundation Trust. Since then, the investigation has linked 20 other offences where the victims include other NHS Trusts, the States of Guernsey Government, and other public bodies. In September 2015, as a result of this investigation, 15 suspects were charged with offences of conspiracy to defraud, money laundering and conspiracy to money launder and all have since been indicted to stand trial. On Monday June 6, a further suspect was detained in Germany following the issue of a European Arrest Warrant by Lincolnshire Police. Walter Wagbatsoma, a Nigerian national, was extradited to the UK yesterday (Thursday June 30), when he was charged with conspiracy to money launder. Wagbatsoma is due to appear at Lincoln Magistrates Court today (July 1).